Tech retailer Dixons is hoping for a very merry 3D Christmas in 2010, to take the edge of what is looking like it could be a tough holiday season for the high street. Dixons Retail hopes that sales of 3D television sets to eager early adopters will boost its bottom line this Yule. What with the recent launch of Sky's own 3D TV service, the retailer hopes that sports and movie fans alike will want to buy into the first batch of 3D TVs on the market this holiday season. Dixons owns both the Currys and PC World chains and has recently claimed to have significantly reduced its pre-tax losses in the first half of its current financial year to £7.9 million (compared with £17.6 million a year ago at the same time). Dixon's chief exec John Browett said: "We have maintained our momentum in transforming the group and are performing ahead of the market." Dixons' sales in the first half of the year were drive by the purchases of new TVs to watch the Football World Cup in South Africa, in addition to a number of high profile tech launches such as the Apple iPad. 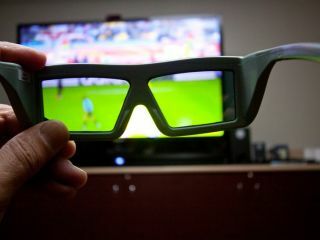 A million 3D TV have been sold in Europe to date in 2010, which is around 5 per cent of the total 3D TV sales worldwide so far. Dixons and other retailers hope that number will double next year, with a total of 19 million 3D TV sets now forecast to be sold in Europe. Dixons boss Browett hopes that refits of its 250 stores and new launches of 25 megastores will help the group back to the black in 2011.